Help your children stay away from lifelong illness! Today I had the priveledge to interview Justin Nault, the CEO of Clovis Kids and the creator of the first ever macronutrient calculator for KIDS! 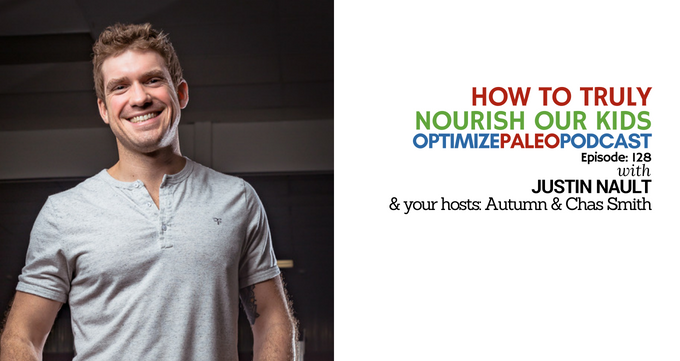 Justin is a Certified Nutritional Therapist and a Specialist in Sports Nutrition. After a life long professional musician and fitness addict, Justin didn’t choose Nutrition as a career. Like many others... Nutrition chose Justin. Events in Justin’s personal and family life lead to a rude awakening of the dysfunction within the nutrition, fitness, and medical communities. Justin has spent the last 7 years dedicated to researching and optimizing human health and has transformed the lives of hundreds of people and kids all across America. And his story will give you goosebumps. (I actually cried the first time he told me). Soooo stop what you're doing RIGHT now and listen in so you can learn all about what it takes to help our littles THRIVE. Their destiny is in our hands (and on their forks) after all.